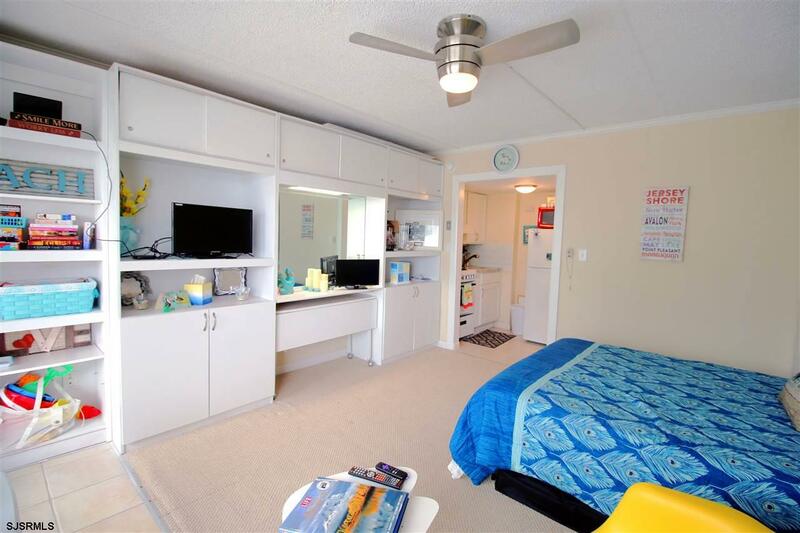 Renovated 1st floor studio in the now very popular Seashore Club Condos located right on the world famous Atlantic City Boardwalk and directly across from the Brand New Stockton University campus at Albany Ave and the Boardwalk! 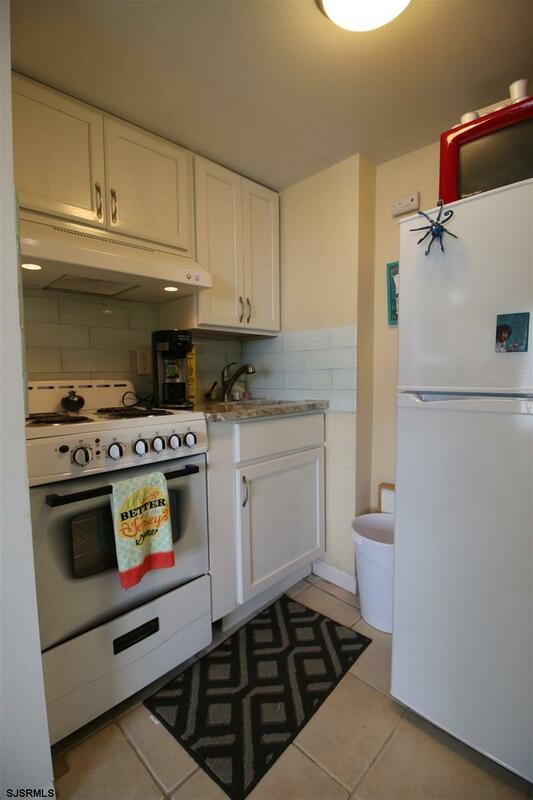 The kitchen features new appliances, white cabinetry, granite counters, tiled back splash, & tiled flooring. The bathroom features tile flooring, tiled walls, vanity, walk in shower with glass doors. Living area has updated carpeting, ceiling fan, custom built in wall furniture. The building has it's own in ground pool, fenced in yard, out door showers, mail boxes, laundry facility, and security cameras. 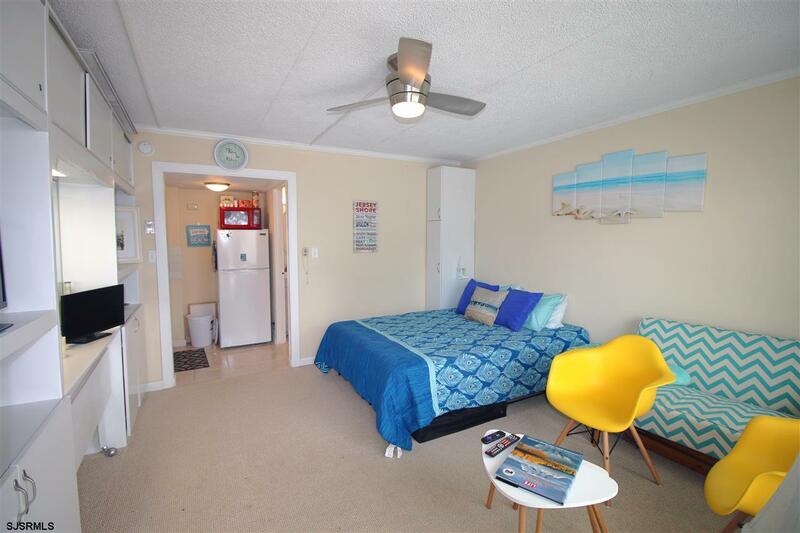 This south side facing unit enjoys the Sunlight all day long, and this unit is right at the corner of the building closest to the ocean and the boardwalk access ramp. Open your door and right in front of you is the new Stockton University Campus! 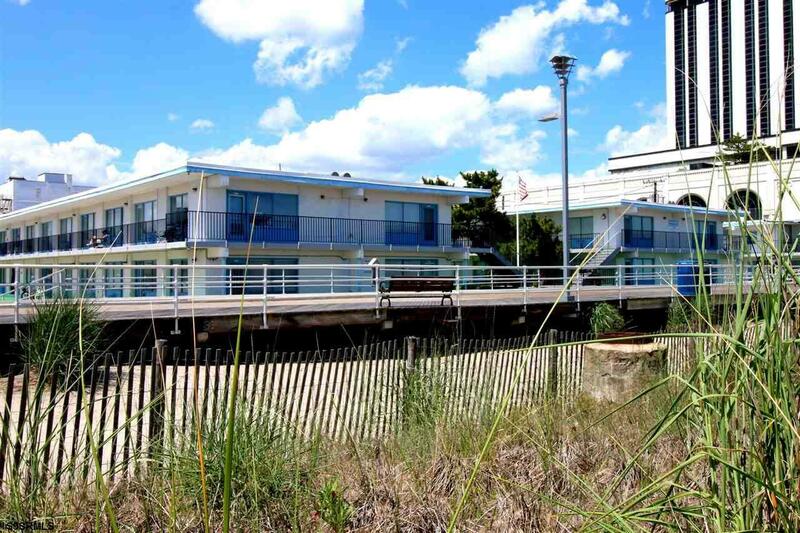 On your left is the BEACH and BOARDWALK, the location can not be beat! This area is full of positive, motivating energy. Great community! Listing provided courtesy of Glen Cove Real Estate.